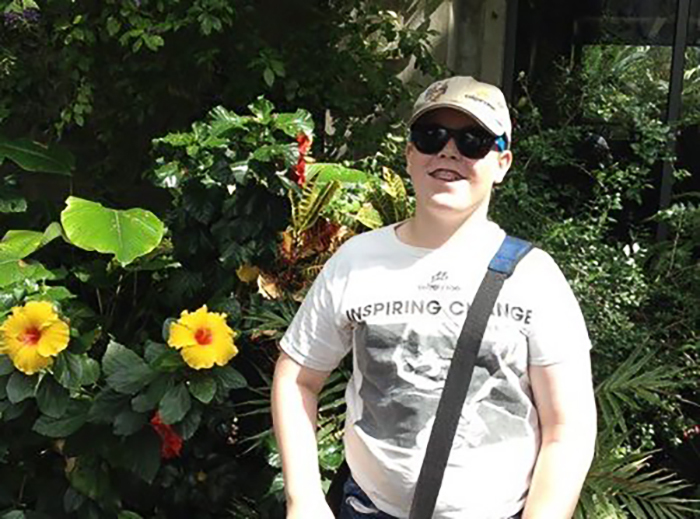 Guest blog: Adam Fisher, Calgary Zoo Engage member. 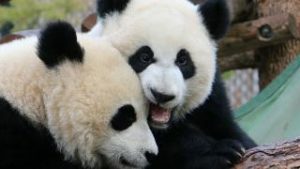 Ask anyone where I would say is the greatest place on the planet, they’d all say the same thing … the Calgary Zoo! Recently, my Mom and I went for lunch at Grazers restaurant on the zoo grounds. It was amazing! This restaurant has been serving zoo visitors for two years and counting. All of the herbs used in the food served are grown right on zoo grounds, and all meat is sourced from local Alberta farms. A bonus for me as a young conservationist – the restaurant is based around food sustainability and humane animal practices. 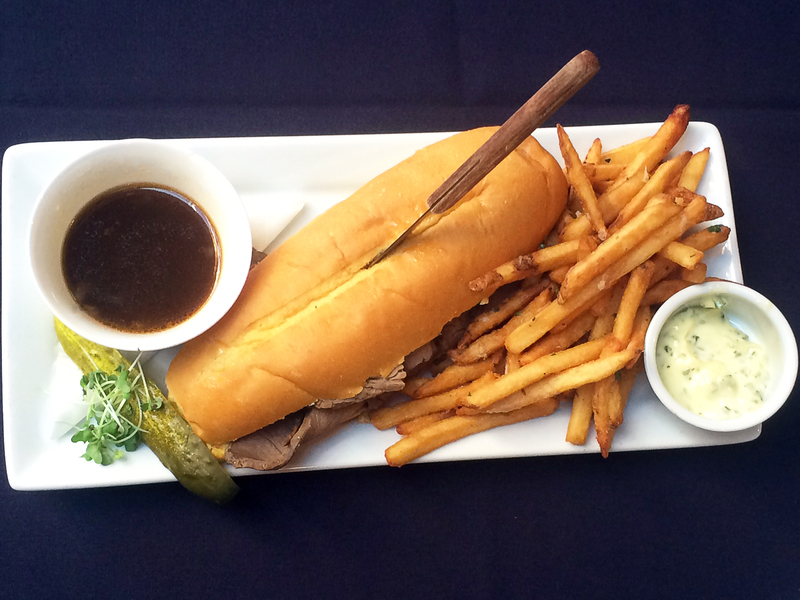 We had the mouthwatering AAA Alberta beef dip with fresh cut locally-grown fries and the zoo-grown herb aioli. Both flavourful and fresh, this was a true Alberta treasure that embraces the farm to table foundation of the restaurant. One of the popular dishes at the zoo’s restaurant Grazers is the beef dip sandwich. Located by the Chilean flamingo exhibit and the zoo’s conservatory, Grazers is open from 11 a.m. to 5 p.m. seven days a week from mid June to Labor Day, with openings for special events and holidays. How does this outstanding restaurant keep its public happy? 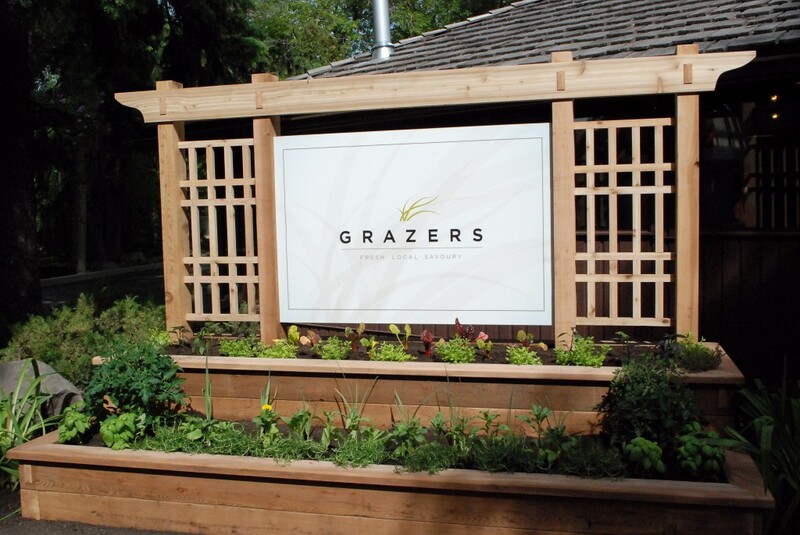 I had sat down with Blaine Rutherford the manager of Grazers, James Neilson the Executive Chef of the Calgary Zoo, and Krish Nair the Executive Sous Chef of the Calgary Zoo to find out. The chefs very proudly source the freshest ingredients to use in their creation of the menu, and to provide weekly specials to keep customers coming back. 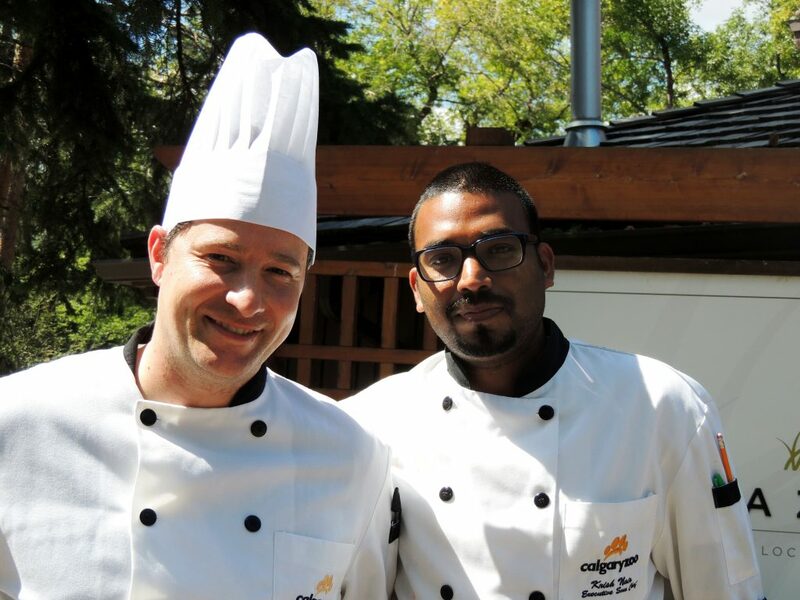 Meet Calgary Zoo Executive Chef James Nielson, left, and Executive Sous Chef Krish Nair, right. I asked both chefs to choose a message to give to the consumers of Grazers, and “Fresh, Local, Savory”, was the enthusiastic choice. Their menu features something for everyone, including a kids menu and a lunch buffet. Special thanks to Blaine Rutherford, James Nielson, Krish Nair and Elisha (our server) for the wonderful experience. Something to add to your summer bucket list – stop in for a bite at Grazers and support the zoo’s conservation efforts!